When it really comes down to it, your electrical system is easily one of the most important components in your Oakville home, and anytime there is an issue with your system, you don't want to entrust the job to just anyone. Any kind of electrical repair, no matter how simple it might seem, can be an extremely dangerous task, and as such, you want to be sure that you have the name of a professional Oakville electrician you can count on to get the job done and get it done right. Here at AnyTime Electric, we are the premier electricians for the Oakville area, and we are ready to help you with all of your electrical service needs. Are you looking for a professional Oakville electrician who can provide you with the dependable service you need for your home? If so, give our team of professionals a call today and let us show you the quality service that has made us one of the most trusted names throughout the local area. Here at AnyTime Electric, we understand the important role your electrical system plays in the safety and function of your Oakville home, and we are prepared to do everything in our power to ensure you get the service you need to quickly and safely address any and all concerns with your electrical system. 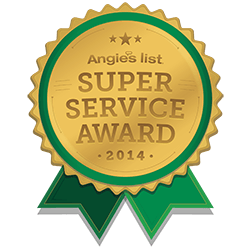 Whether you are looking for electrical repairs, home generators, new lighting, or even panel upgrades, our team of skilled electricians have what it takes to get the job done right. If you have any questions about our full line of high quality electrical services, or if you would like to schedule an appointment for consultation, give us a call today. Our team of experts are always standing by and would be happy to assist you. Losing power in your home can be incredibly frustrating, and depending on when the power loss occurs, it can also be quite dangerous. Losing power in the middle of a cold night for an extended period of time can be a harrowing experience, but with a new home generator, you can have peace of mind in knowing that you and your family have everything you need to stay comfortable and safe in your home until the power comes back. Our team of skilled electricians can work with you to find the perfect new generator for your home to ensure you have the kind of power you need operate your home in the event of any outage until crews can get out and restore power to your home. If you are looking for an Oakville electrician then please call Anytime Electric at 314-280-0997 or complete our online request form.